Australia's Biggest Cruise Season EVER! AUSTRALIA will welcome summer with its biggest cruising season ever in more ways than one. The biggest flotilla to visit Australia, the biggest fleet of cruise ships ever based in Australia and by far the biggest ships to call Australia home are all part of the coming season. For holiday-makers, that means the biggest-ever choice of deals, itineraries and ships, from boutique luxury liners to family fun ships to adults-only cruisers to mega floating resorts. While Australians can cruise from home all year round thanks to P&O Cruises' and Princess Cruises' ships based here, the summer season really gets under way from October when a fleet of ships arrives for a season cruising from Australia to South Pacific islands, New Zealand, Asia and Australian destinations. Royal Caribbean International's Rhapsody of the Seas - fresh from a $54 million refurbishment with upgrades including multiple new dining options - and big sister Radiance of the Seas arrive back in local waters in October for another Australian season. RCI also has the biggest ship ever based in Australia on its way for a November debut. Voyager of the Seas is one of the 10 biggest cruise ships afloat, with facilities such as a rock-climbing wall, in-line skate track and ice-skating rink; a day spa with more than 100 treatments; 14 bars and 11 dining options; and the innovative indoor "main street" mall and entertainment area. For kids, the DreamWorks Experience means they can dine with their favourite characters from Shrek, Kung Fu Panda and Madagascar or catch the character parade. The 137,276 ton, 3840-passenger Voyager's Australian season will feature New Zealand, South Pacific and Australia itineraries ranging from one to 18 nights. It will sail from Sydney and Fremantle. Carnival Cruises, the world's biggest cruise line, will make its mark in Australia in October with the arrival of its first ship to be based in Australia, Carnival Spirit, sailing from Sydney for South Pacific cruises. The 88,500 ton, 2600-passenger Carnival Spirit will be based in Australia year round, living up to the company logo "fun ships", with facilities including the fastest and steepest waterslide at sea as part of a waterpark, children's clubs with child minding until 3am, an adults-only "serenity" retreat, 16 bars and lounges and four swimming pools. Holland America Line returns to Australia, with its premium cruise ships bringing elegance and relaxation. Volendam, known as the flower ship for its regular fresh flowers and floral themes, has cruised in Australian waters in recent seasons and this year is joined by big sister, the 82,305 ton, 1926-passenger Oosterdam, which will run 10 to 25-day itineraries around Australia and New Zealand. 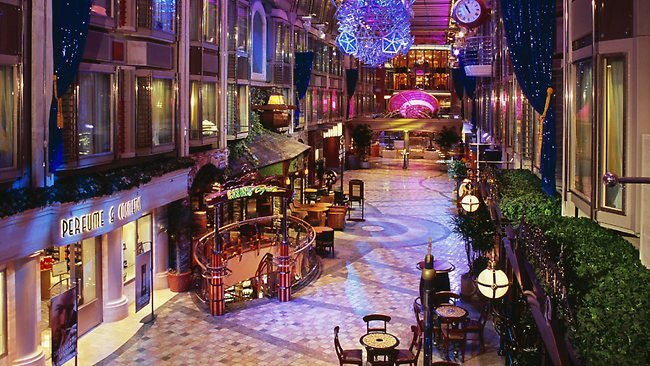 HAL's Amsterdam will also call, as part of a longer voyage. The 122,000 ton, 2540-passenger Celebrity Solstice arrives in late November for its inaugural Australian season. The 317m-long up-market ship, one of the 20 biggest cruise ships in the world, features an expansive Lawn Club area of real grass on the roof. It has 15 bars, 10 dining options, day spa for pampering, large gym, casino, two mid-ship pools and adjacent adults-only solarium pool, theatre, nightclub and plenty more. The 550-passenger Athena returns to Australia for another season based out of Fremantle and Adelaide, offering 19 cruises from November this year to May next year. The ship's season will include calls to ports such as Robe in South Australia and Portland in Victoria, an Easter cruise and a rock 'n' roll theme cruise. Princess Cruises will have Sun Princess cruising from Brisbane, Dawn Princess based in Melbourne, Sea Princess returning for a second season out of Sydney, and megaliner Diamond Princess offering six cruises between Sydney and Auckland from December to March. As well as ships based in Australia such as P&O's Pacific Jewel, Pacific Pearl and Pacific Dawn, and those coming here for the season, there will be a steady stream of ships calling in for sectors of longer cruises. Luxury line Silversea will have 382-guest sister ships Silver Shadow and Silver Whisper, with their all-suite accommodation, butler service and complimentary drinks. Silver Shadow will have two 14-day voyages between Australia and New Zealand in January, while Silver Whisper will offer Los Angeles-Sydney, Papeete-Sydney and Sydney-Hong Kong sectors as part of a world voyage. Another luxury small ship line, Seabourn, will have Seabourn Odyssey and Seabourn Quest in our waters. Seabourn Quest will make its maiden visit to Australia in February next year, calling at Sydney, Brisbane, Hamilton Island, Townsville, Cairns and Thursday Island as part of a 116-day world cruise, while Seabourn Odyssey will sail in local waters for almost three months exploring Indonesia, New Zealand and Australia. Other ships visiting during the summer season include the P&O ships Arcadia and Aurora, Cunard's elegant Queen Victoria along with flagship Queen Mary 2 making its maiden circumnavigation of New Zealand, Costa Cruises' Romantica and Deliziosa, Celebrity Millennium, Crystal Symphony, Balmoral, Seven Seas Voyager, Asuka II (one of Japan's largest cruise ships), Columbus 2, Island Sky, Saga Ruby, Marina, Artania and Europa. 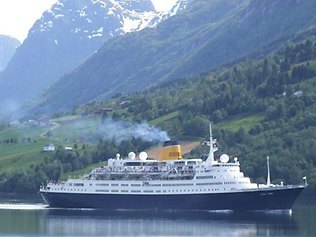 Bear in mind ships coming to Australia for the summer season, and leaving at the end, often have good deals on these re-positioning cruises. Carnival Australia chief executive Ann Sherry says it will be a landmark summer: "Carnival Australia now has seven ships based here full time, so cruising is well and truly a year-round industry in Australia and summer is the peak, when we welcome all of our international ships and tens of thousands of passengers to our shores. "Some ships are visiting as part of a bigger world cruise but increasingly we are seeing other ships being based here in Australia for several months, which is fantastic as it reflects the growing demand for cruise holidays Down Under." International Cruise Council Australasia general manager Brett Jardine says: "This year we'll be welcoming plenty of maiden visits, with ships like Carnival Spirit, Royal Caribbean's Voyager of the Seas and Seabourn Quest making their inaugural calls Down Under and creating plenty of excitement in local ports. "There will be dozens of ships sailing our waters. Between them, the ships will make hundreds of visits to Australian ports, injecting millions of dollars into local economies. "The array of visiting ships is the best reminder that there is a cruise ship out there for everyone." Get some great deals on a cruise that suits you or book a fabulous cruise for the family.